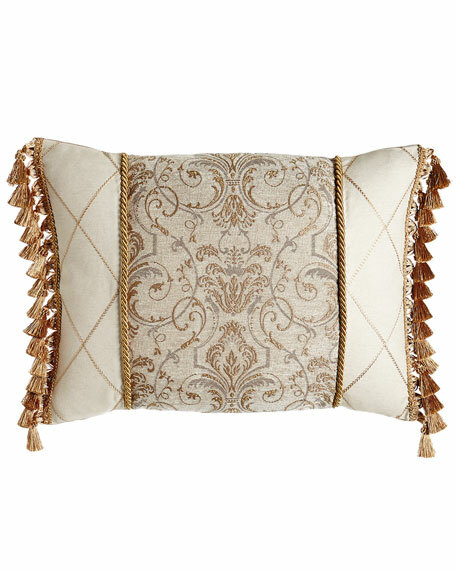 Sham has scrollwork center; diamond sides; cord and tassel trim. Made of polyester and viscose/linen/polyester/rayon. For in-store inquiries, use sku #1894229.